However many East Boston voters you thought would turn out on Mayor Election Day, double it. For “Eastie” November 5th isn’t simply going to be about choosing a new mayor, important though that is for the only Boston neighborhood that has to pay a toll to get into “town.” Much bigger a deal is the Suffolk downs casino project, approval — or not — of which only East Boston will vote upon. The casino is a huge game changer for Eastie. It will likely employ over 4,000 people, many of them surely from the neighborhood. There’ll be much traffic, lots of excitement, entertainment, tourism, the works. “NIMBY” people hate the idea. So do the busybodies who think that gambling is evil and want to prevent the rest of us from doing it. They’ll be voting in big numbers on referendum day. But so too will the project’s supporters. Already the campaign signs — “It”S ABOUT THE JOBS” and “VOTE “YES” FOR SUFFOLK DOWNS” — have arisen on many many East Boston houses and lawns. The mayoral campaigns have taken notice and profited by it. Yesterday State Senator Anthony Pettrucelli endorsed Marty Walsh, who as the candidate of labor, including construction workers above all, is all for the casino project. It will give jobs to Walsh’s stand-out volunteers, door-knockers, and contributors — and to Senator Petrucelli’s constituents. This is a political marriage almost ideal for both men. As Walsh lost East Boston on Primary day by a significant percent, the endorsement by Petrucelli, plus a huge vote turnout, can only boost Walsh’s campaign significantly. Yet John Connolly is not without his Eastie strength. He supports the Suffolk Downs casino project as much as does Walsh : it gives the City $ 55 million (at latest count) in “mitigation” money. Connolly was endorsed by East Boston State Representative Carlo Basile before the Primary; and Connolly carried the Ward. Often a neighborhood’s State Representative is “closer to the ground’ than its State Senator, who has an area six times as large to cover. It is hard to imagine Basile not commanding a strong and much larger poll on November 5th and, other factors being equal, winning for his candidate over Petrucelli’s. ^ Sal LaMattina, East Boston’s City Councillor is ….said to be close to…..
One major political voice of East Boston remains to be heard : East Boston’s City Councillor, Sal LaMattina. 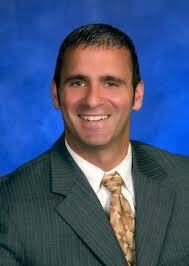 (He also represents Charlestown and the North End, but those neighborhoods aren’t voting in the casino referendum.) 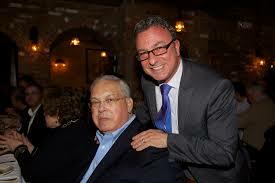 LaMattina is said to be close to Mayor Menino. The rumors about Menino’s feelings with respect to this election have already gone public. I can personally attest two indications that Menino is giving assistance to John Connolly : (1) for the vacant District Five Council seat, city worker Tim McCarthy is receiving assistance and support from state Rep. Ed Coppinger, Connolly’s top campaign chief and (2) Vinnie Marino of Roslindale, a real estate developer said to be very close to Mayor Menino, is hosting a fund-raiser for John Connolly next week. So what of Sal LaMattina in that equation ? Surely his supporters will be wanting jobs at the Suffolk Downs casino as surely as Basile’s and Petrucelli’s. 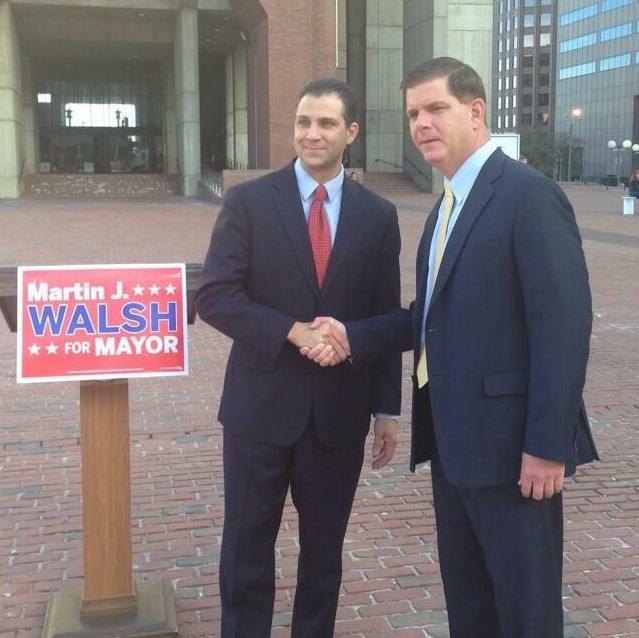 Will he be helping Connolly win East Boston’s big November vote ? After all, Menino’s support for Connolly is sai to come, in part, because he wants “his” people “protected” in the jobs they now hold. Or maybe moved comfortably to the casino ? It does happen. I wanted to ask LaMattina his opinion on these matters; but he has not, as of this writing, returned my phone call. UPATE : I should probably include in this East Boston gumbo Patty Campatelli, who last year won election as Suffolk Register of Probate — defeating Sal LaMattina, in fact, by 800 votes. Campatelli had been unknown politically prior to running for that office; yet she won. She lives in “Eastie.” i wonder whom she is going to support in this showdown. So far, not a clue.